It's official. 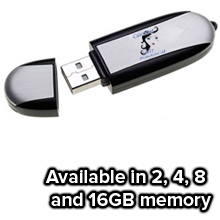 These brand promoting flash drives are utter brilliance, for they will be used every day and will be used to store important documentation which adds even more value to them. 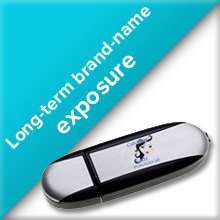 They'll be prized and looked after - with your Company's brand-name on them. Our Company Branded Flash Drives last years and years, and are currently being used in schools, colleges, organisations and offices right at this very moment. They gain more business leads, and help keep current customers loyal for longer. Promotion doesn't get much better than this and with our huge choice of bespoke shapes and sizes, along with a 2,4,8 and 16 gigabyte storage size to choose from, why not order a batch today and build your profit margins just that little bit higher? Click here to find out more or alternatively click on "Get Prices Now" below to stand out from the crowd!